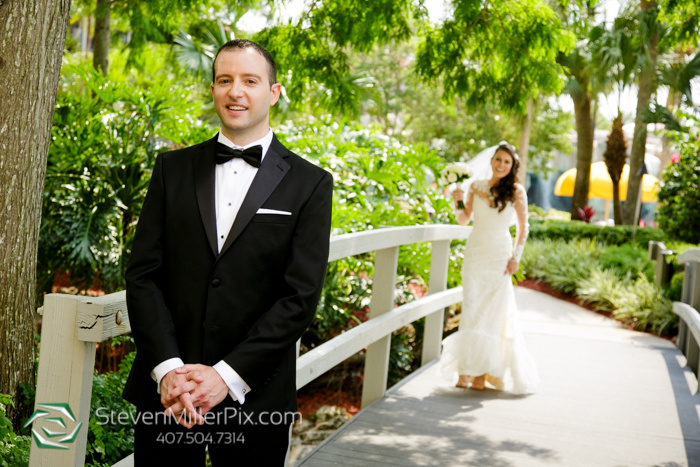 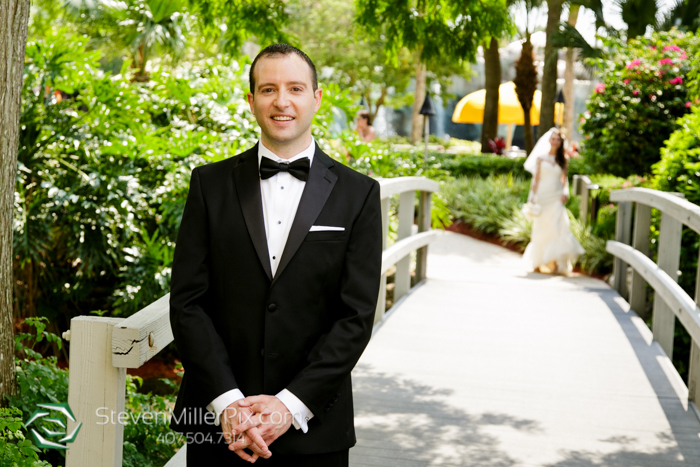 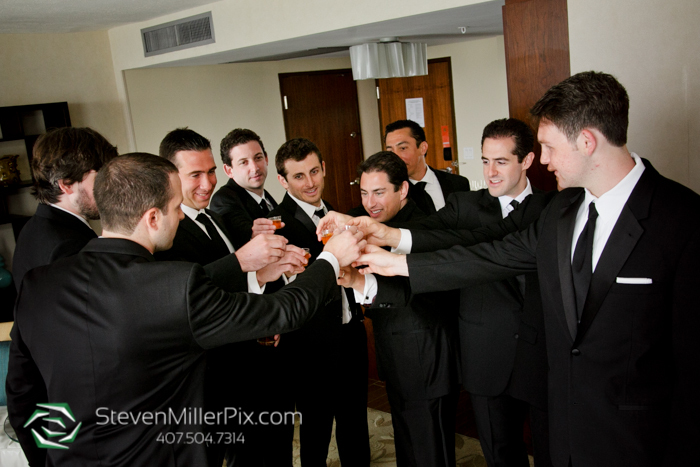 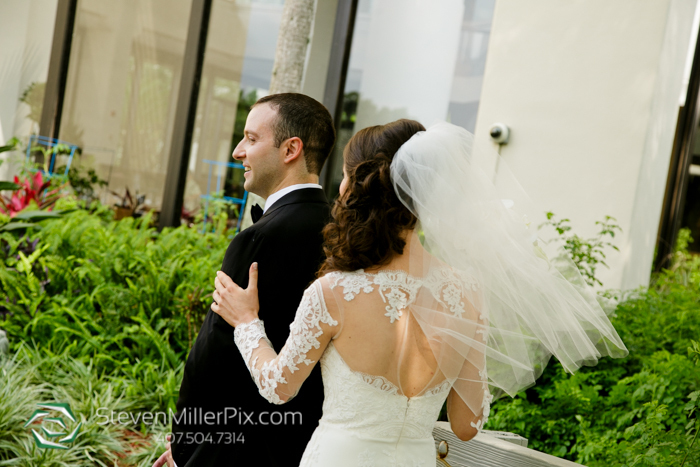 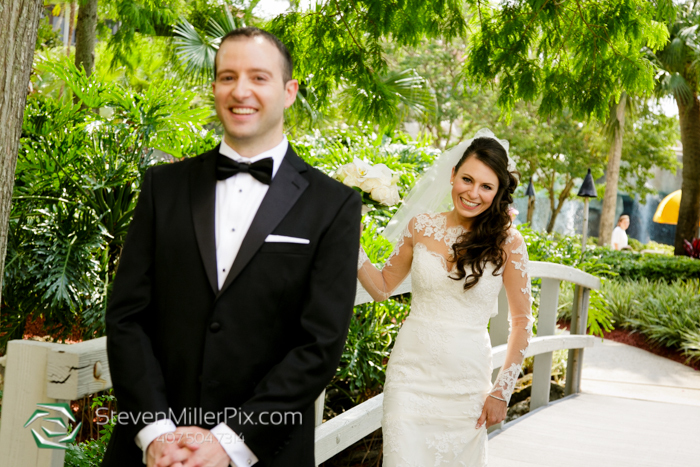 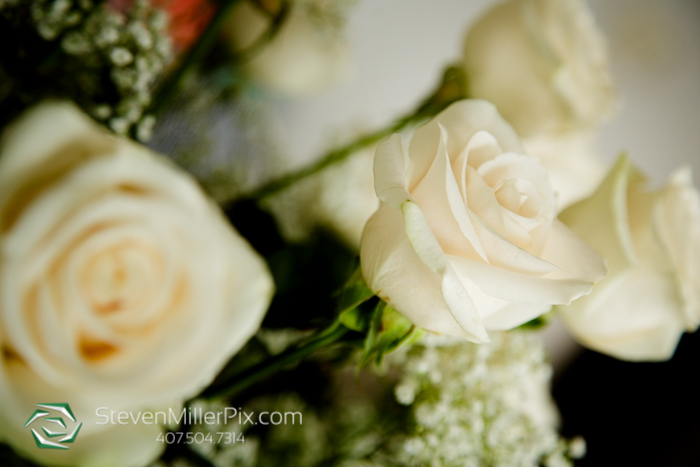 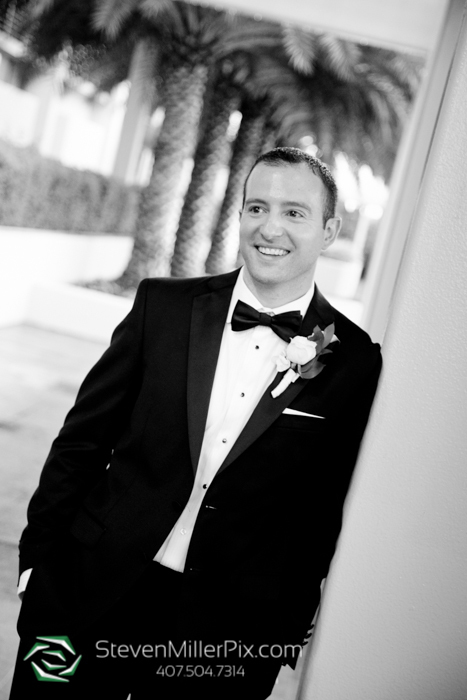 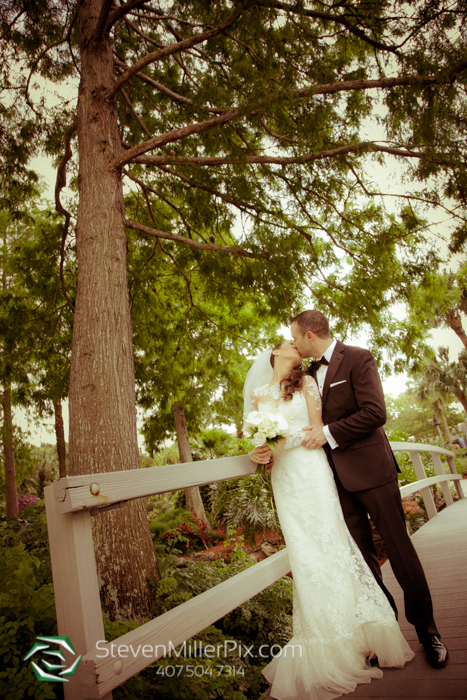 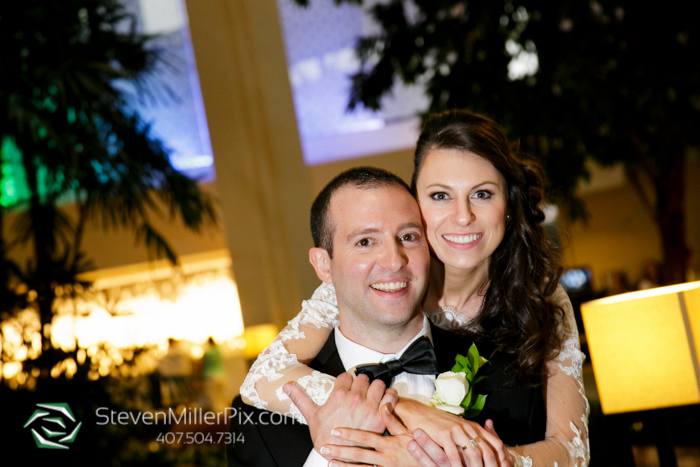 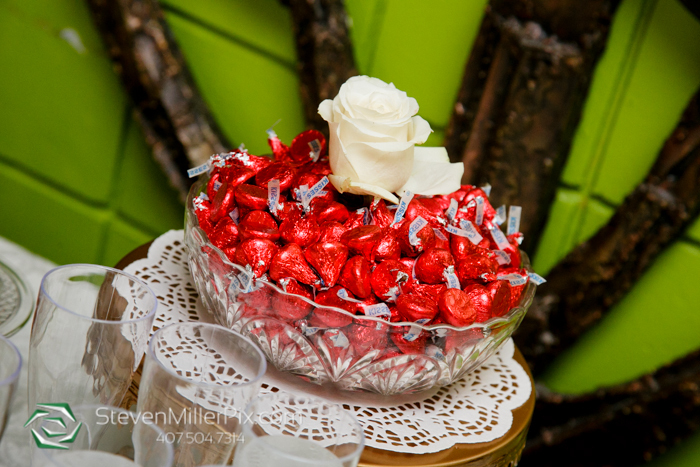 For the wedding of Stephanie and Ari, we spent most of the day at one of our favorite venues, the Hyatt Regency Grand Cypress near Disney in Orlando. 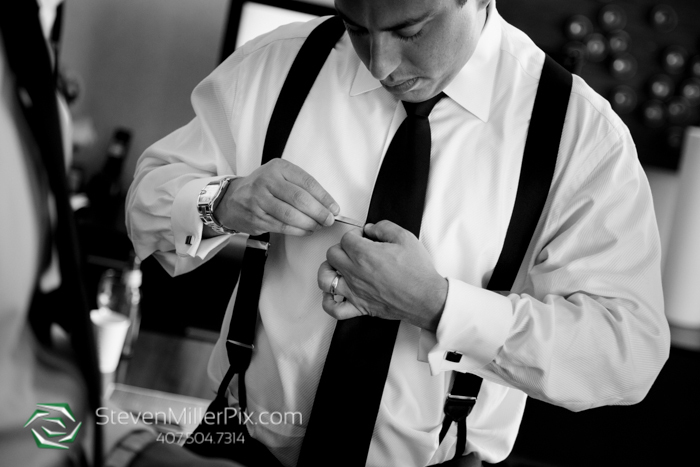 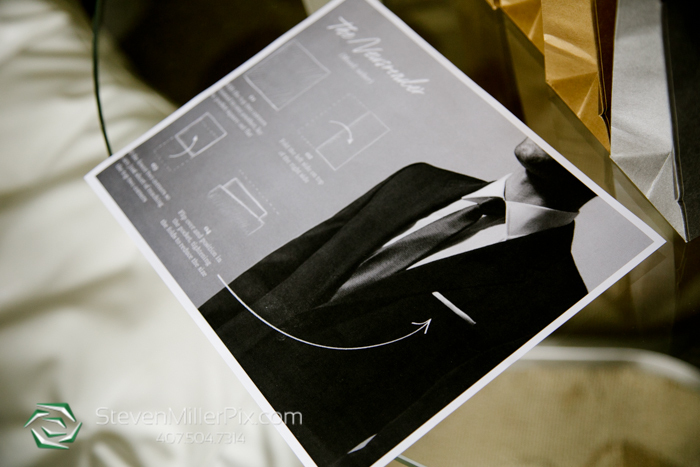 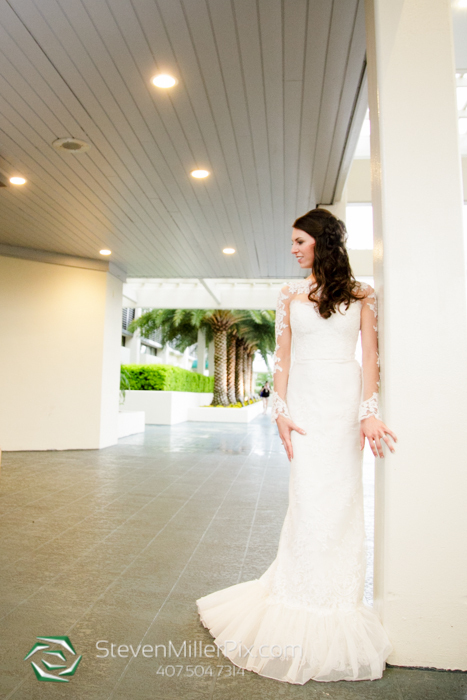 We began the day capturing the couple’s preparations in their respective suites. 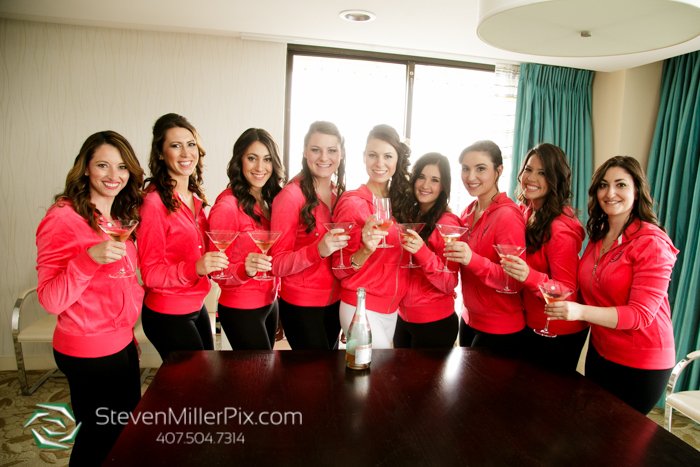 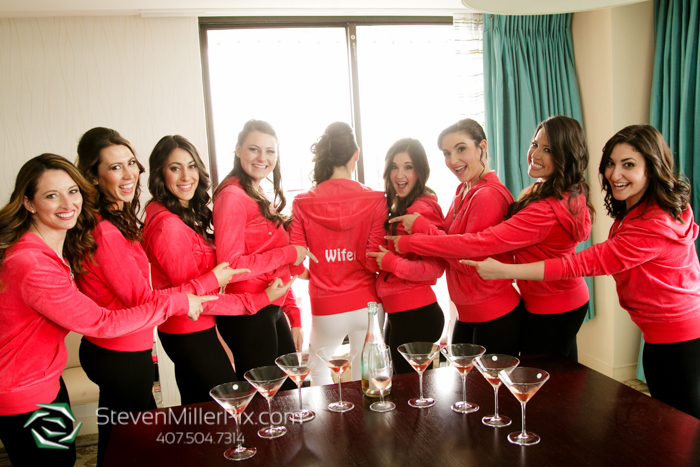 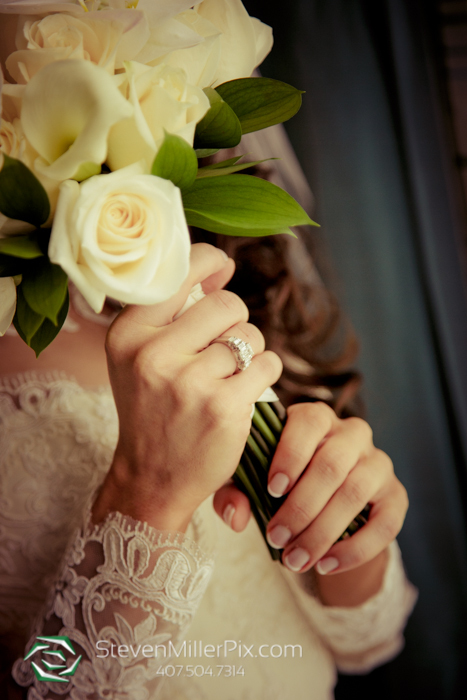 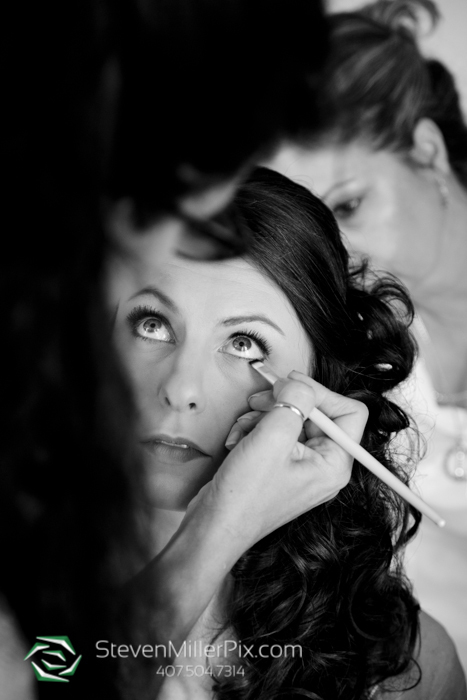 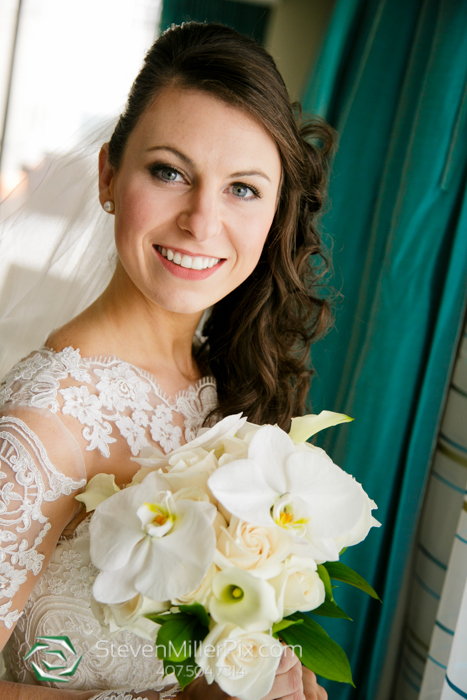 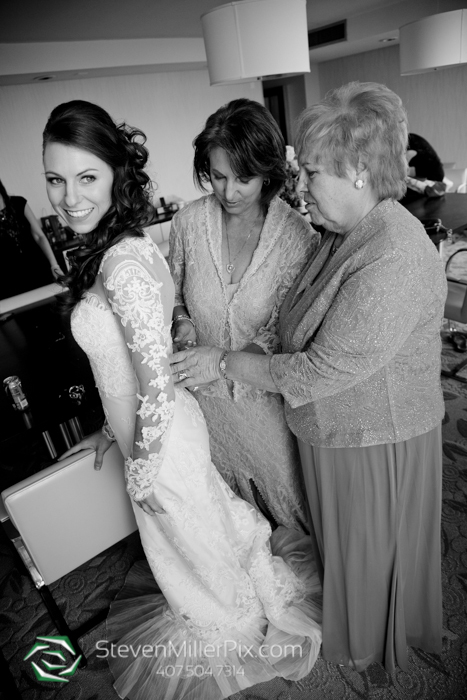 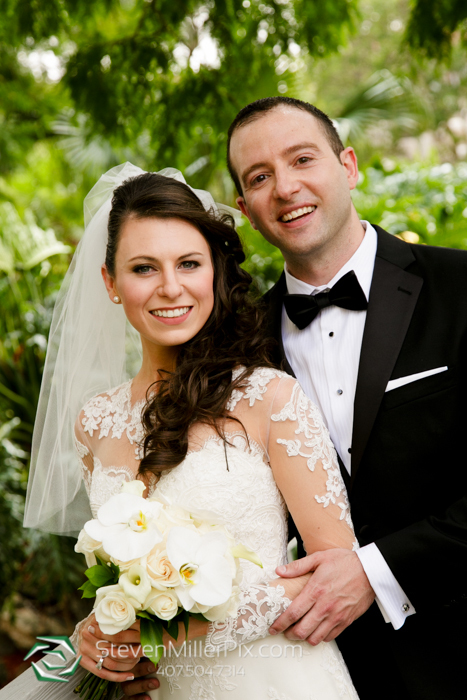 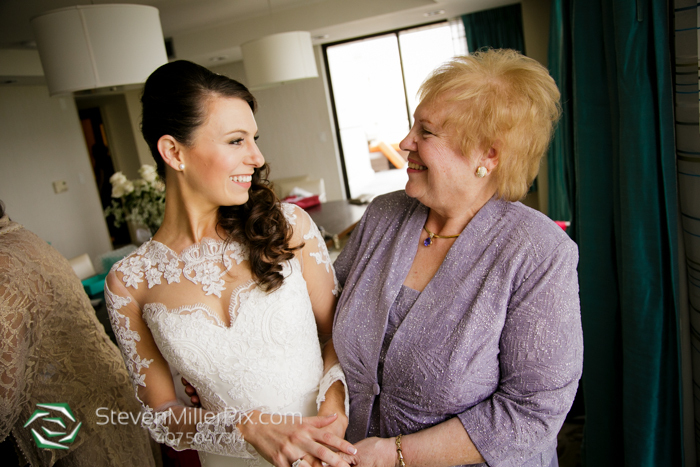 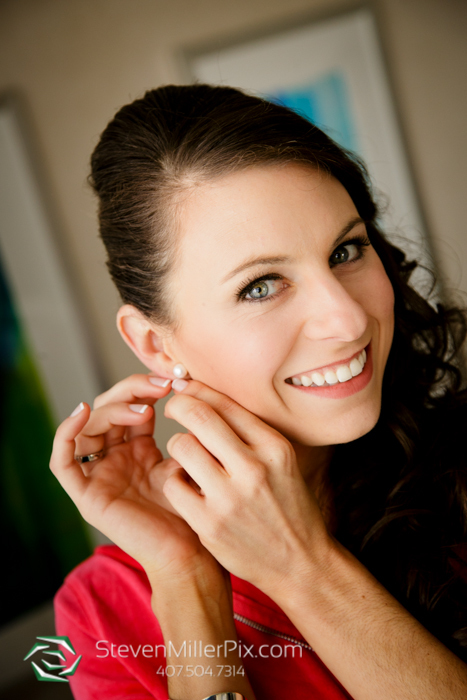 Bridal hair was performed by Aida Hernandez and makeup services were provided by Stephanie Mazzeo. 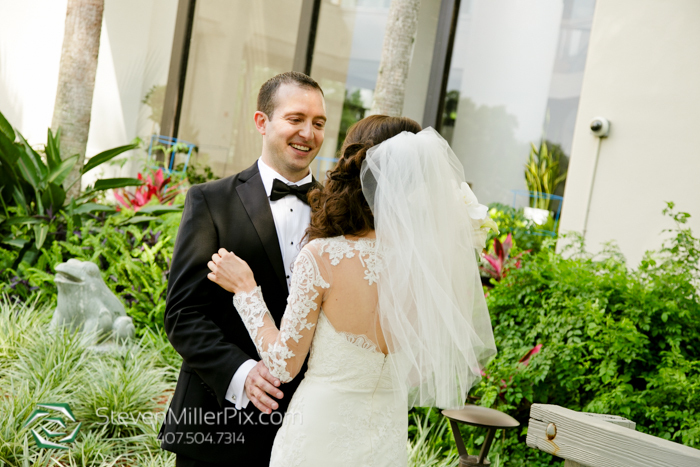 Once they were both ready, we took them outside for their intimate first look, where they saw each other for the first time on their wedding day! 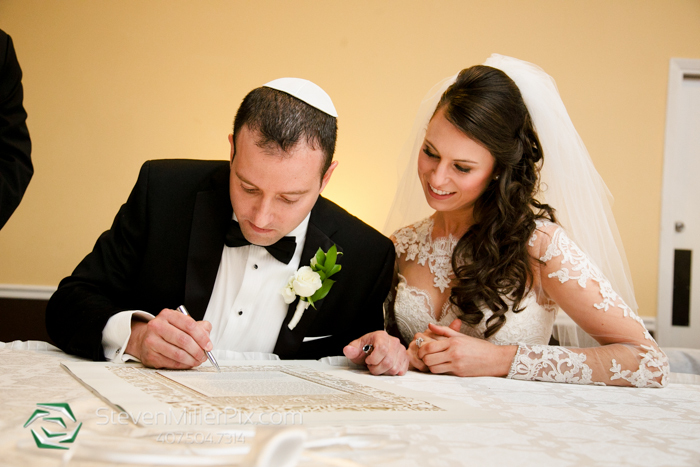 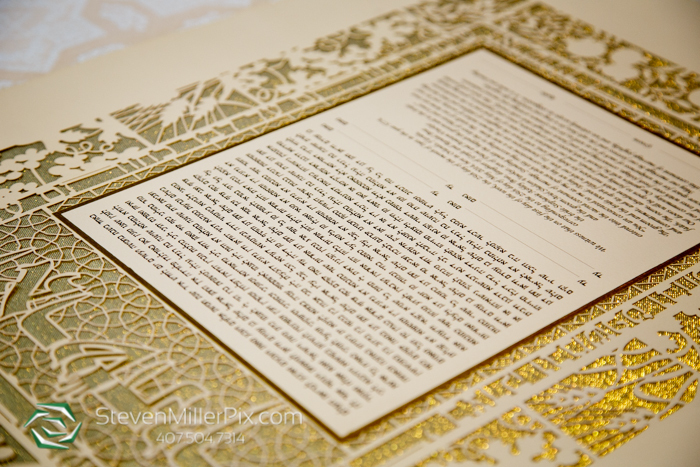 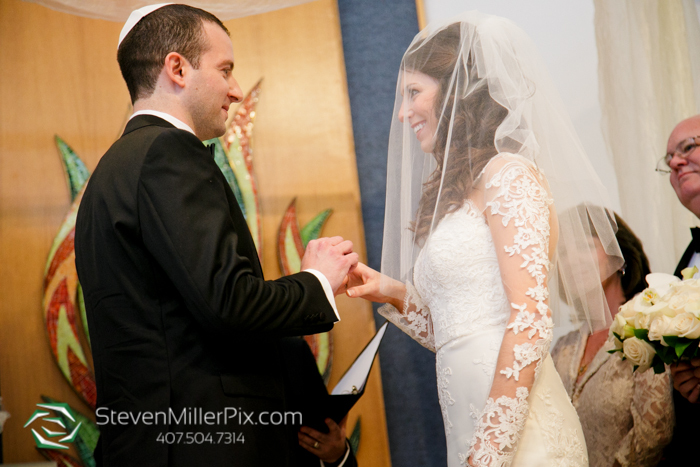 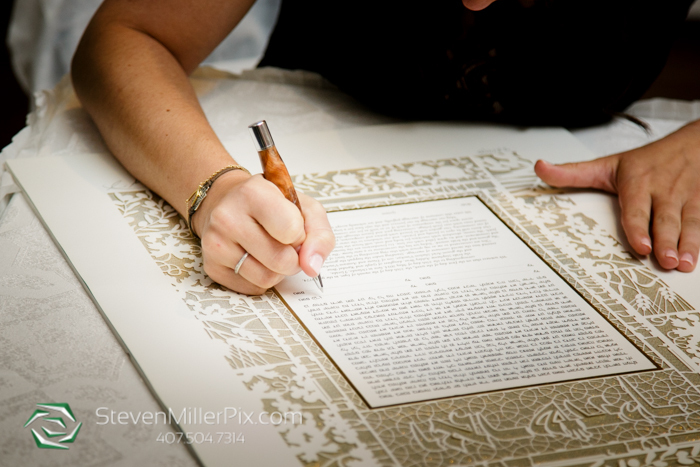 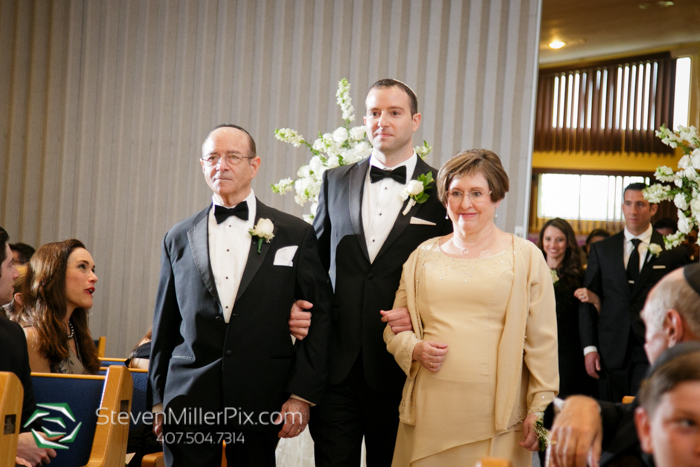 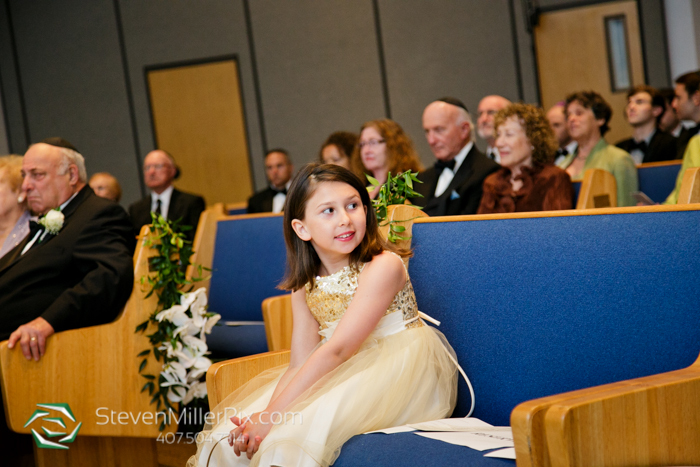 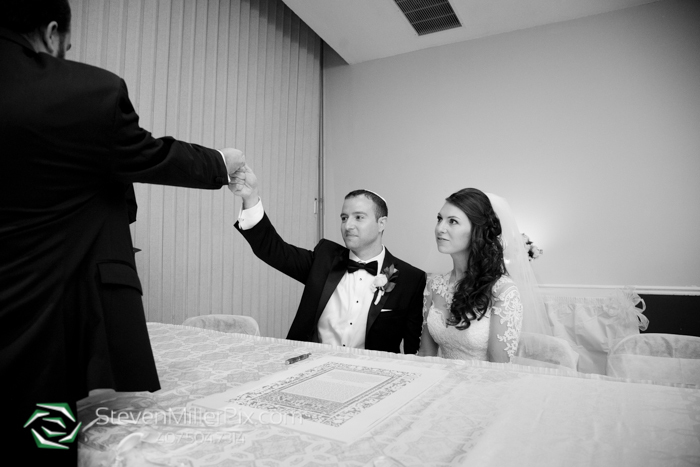 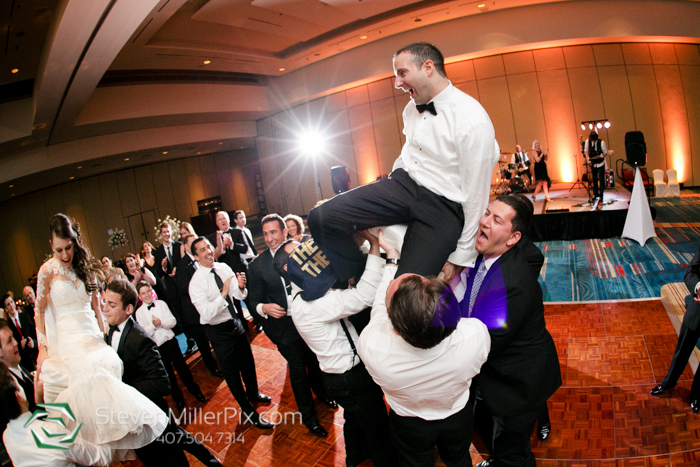 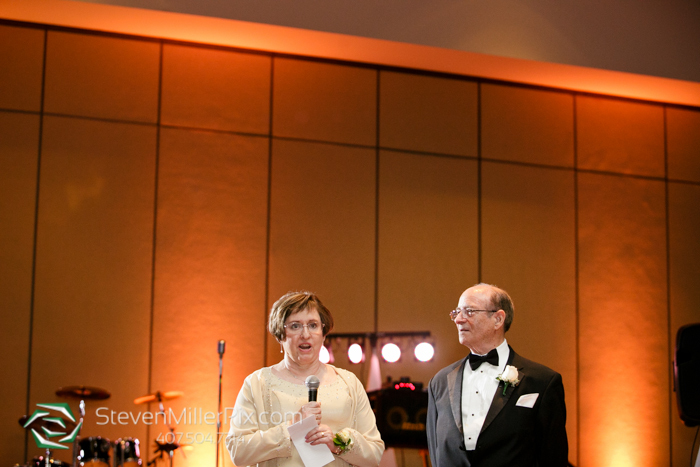 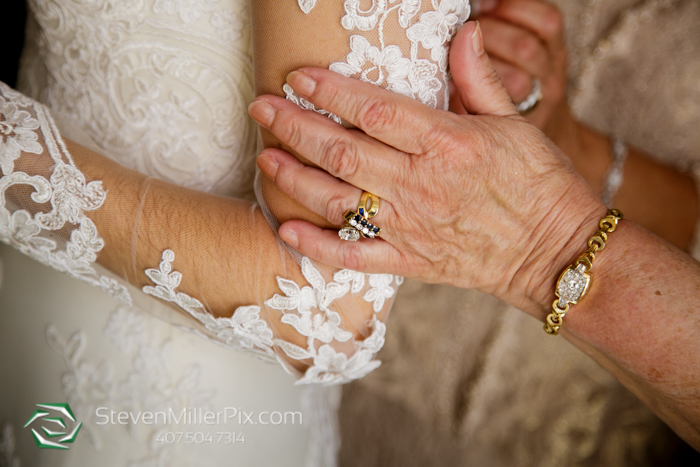 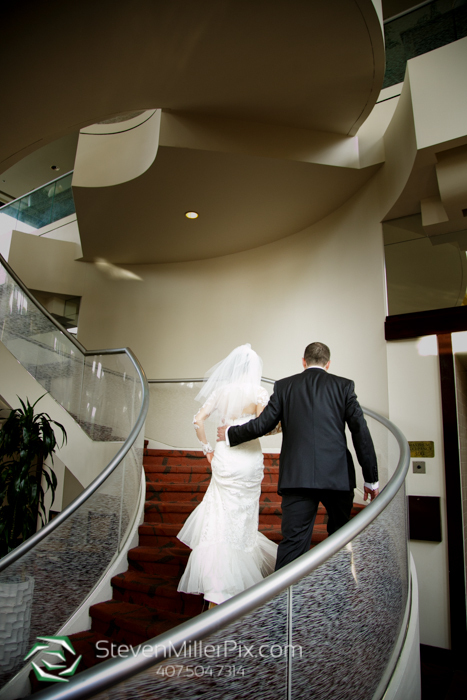 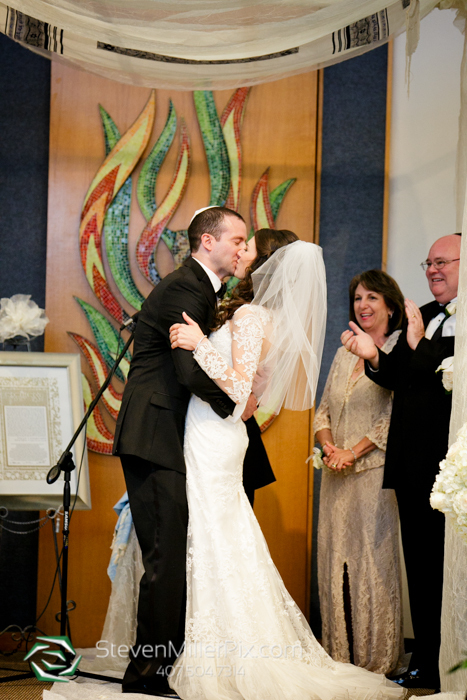 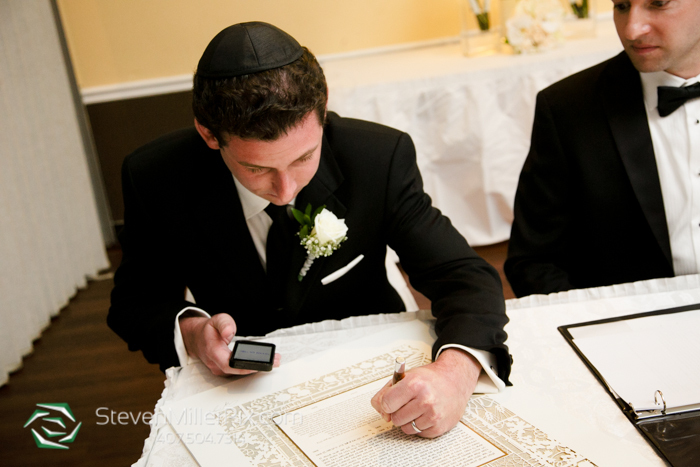 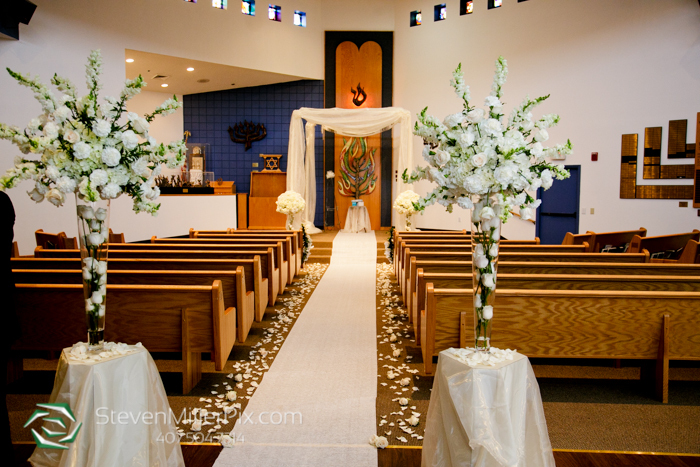 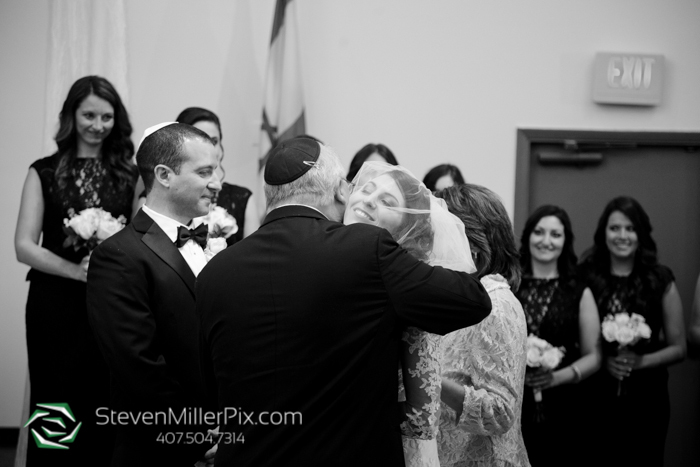 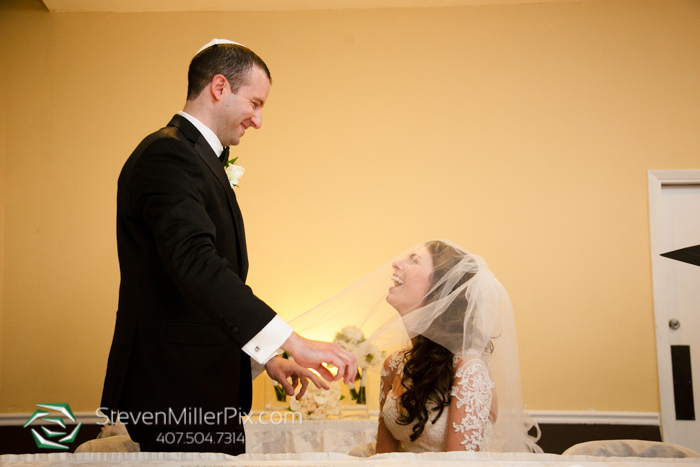 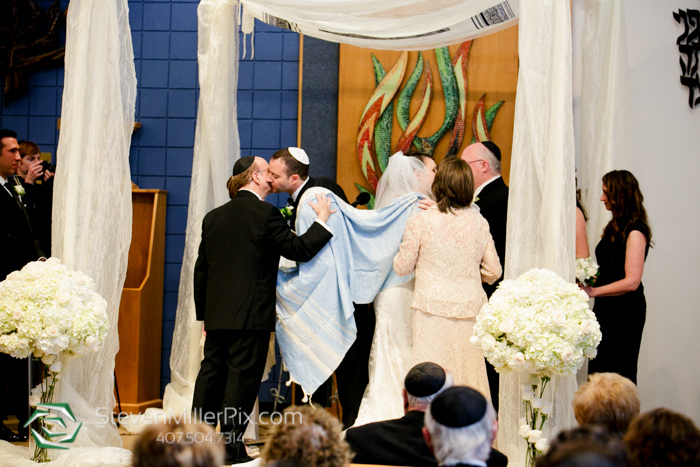 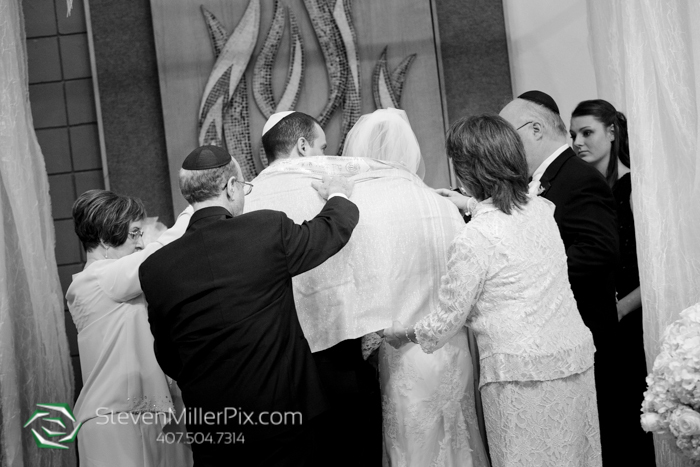 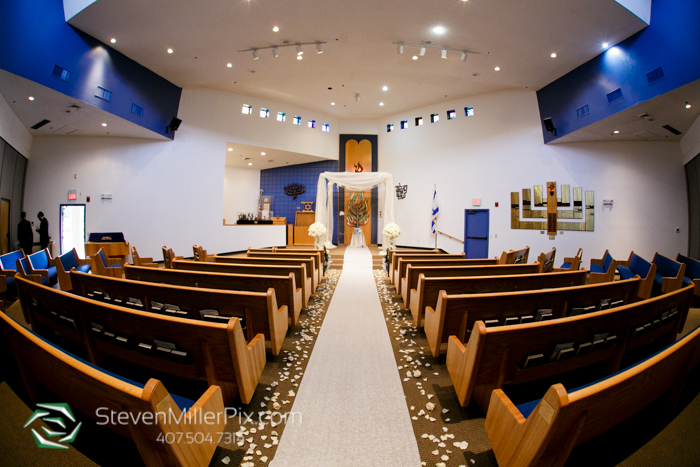 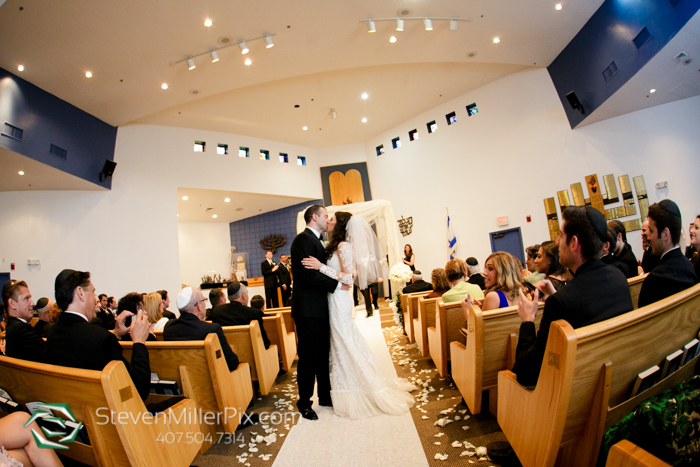 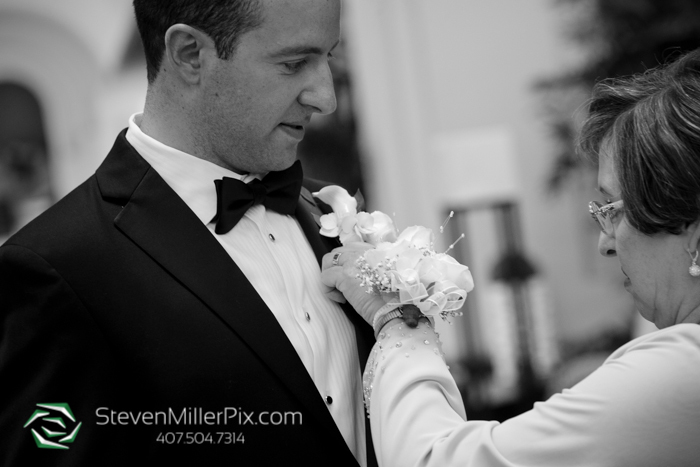 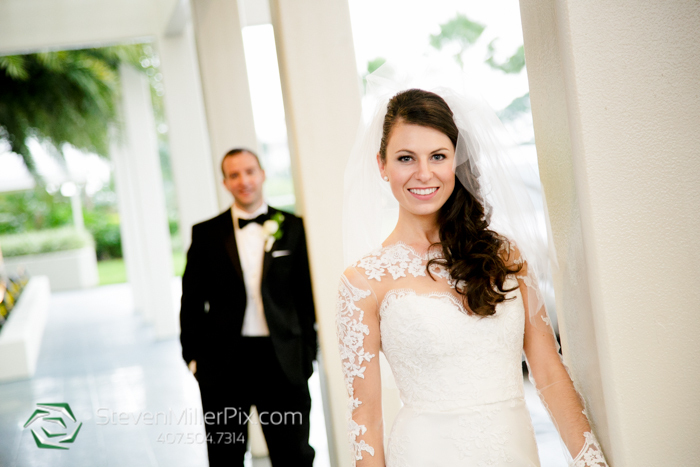 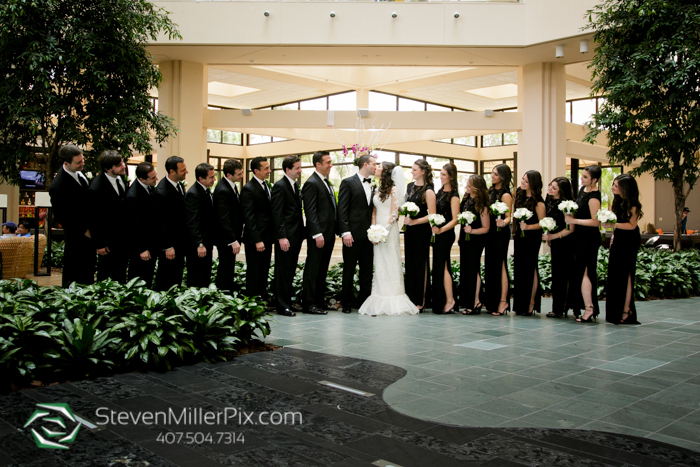 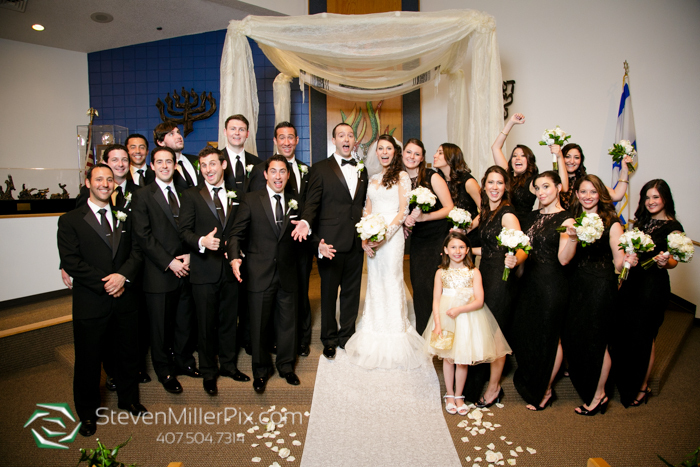 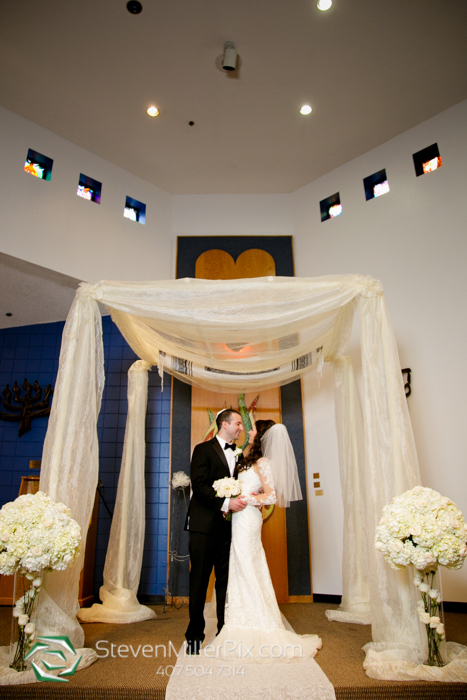 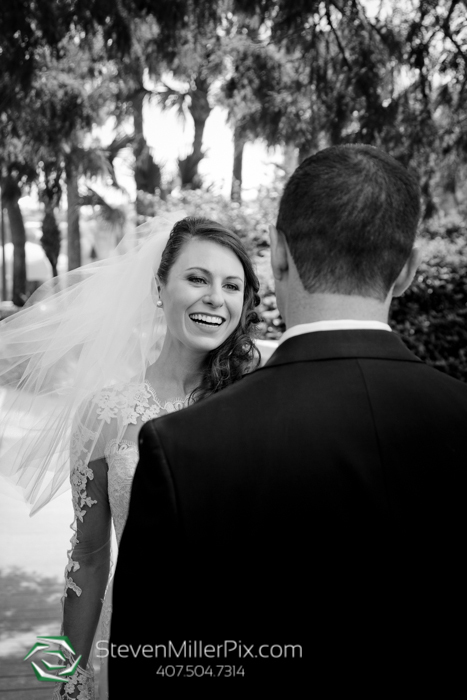 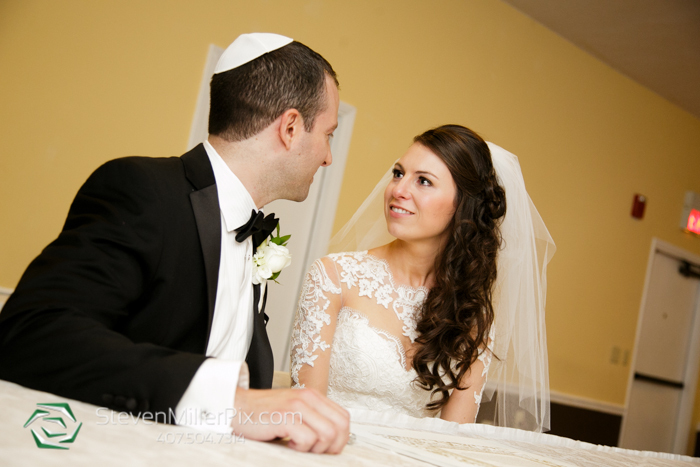 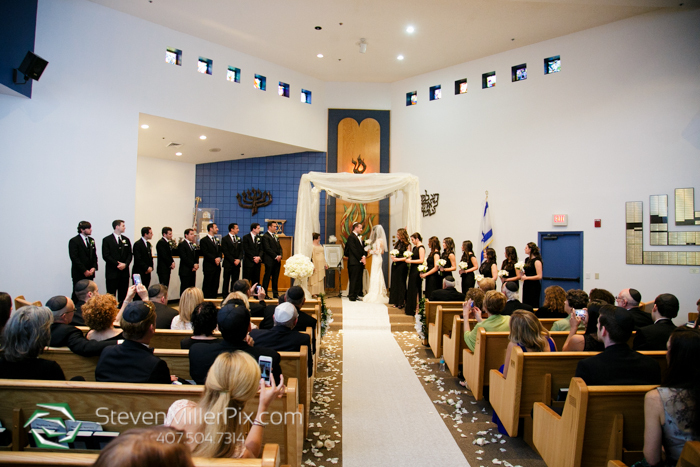 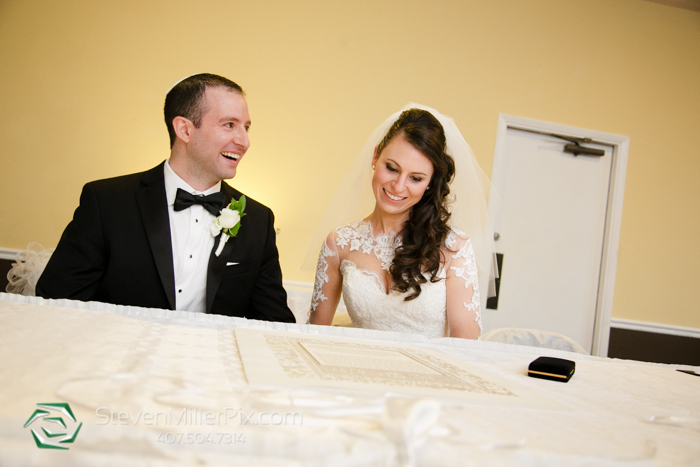 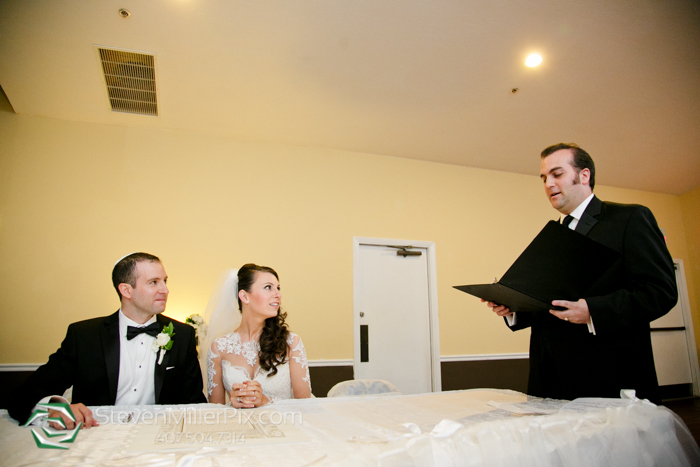 We proceeded with their family, wedding party, and personal portraits around the Hyatt, then went to the Southwest Orlando Jewish Congregation Synagogue for their indoor Jewish wedding ceremony with Rabbi Hillel Skolnik leading ceremonies. 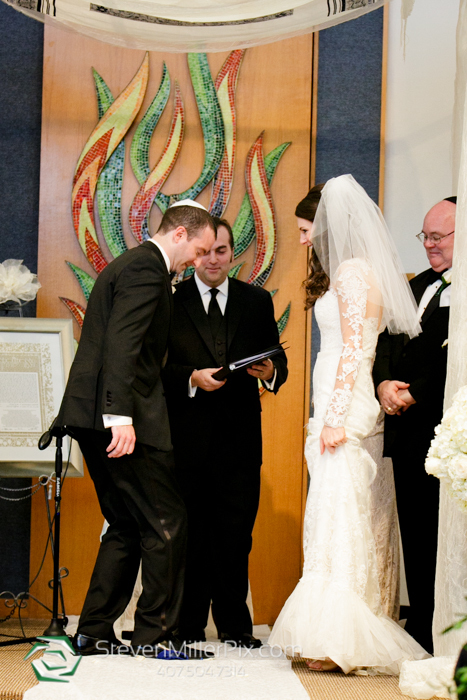 Their ceremonies included the Ketubah signing, blessing of the Tallit, the Seven Blessings, and of course breaking of the glass! 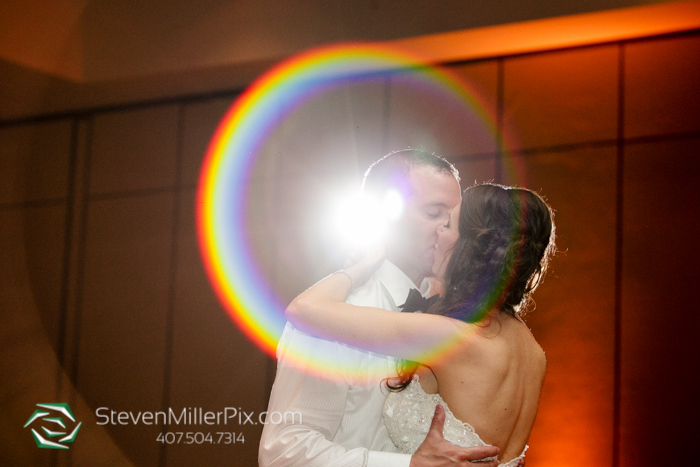 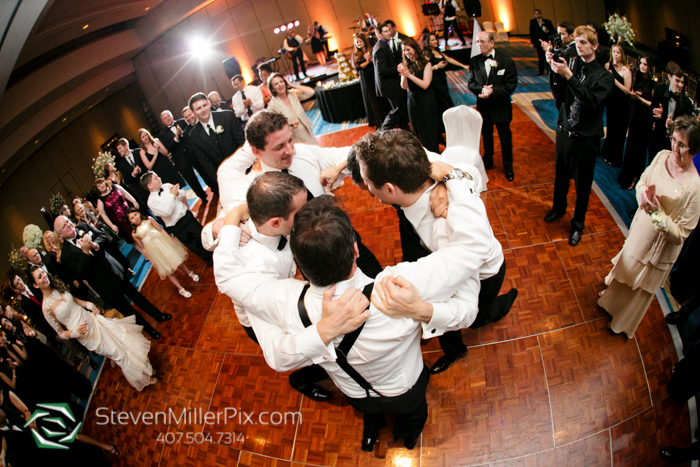 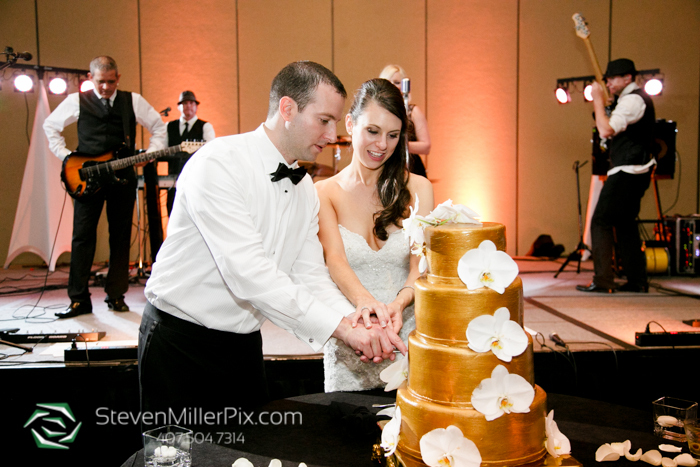 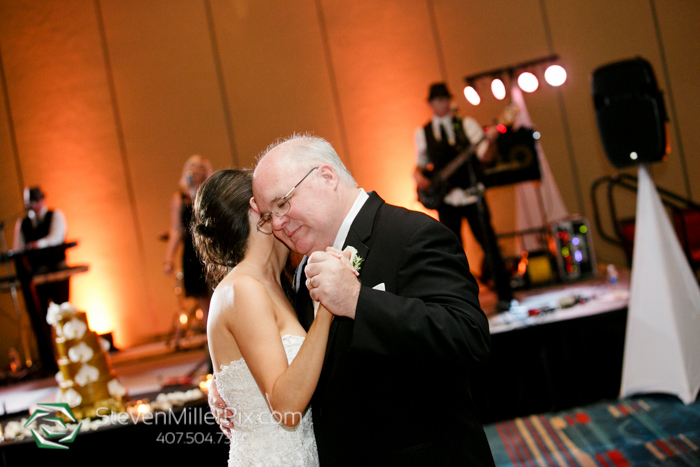 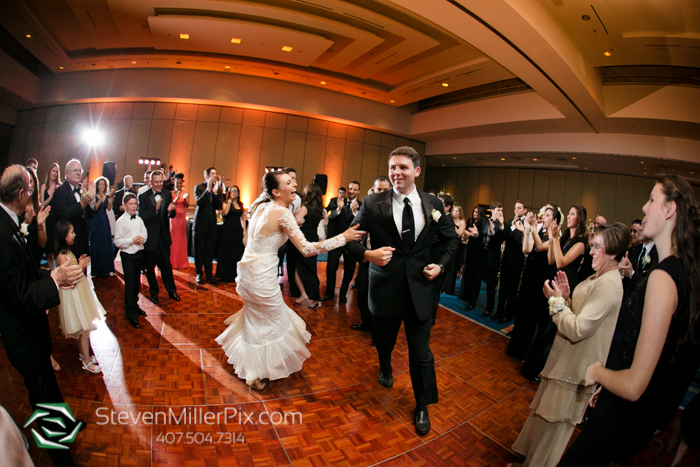 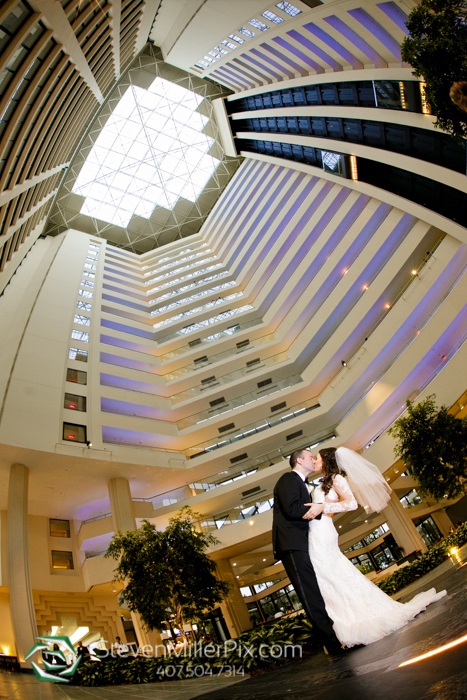 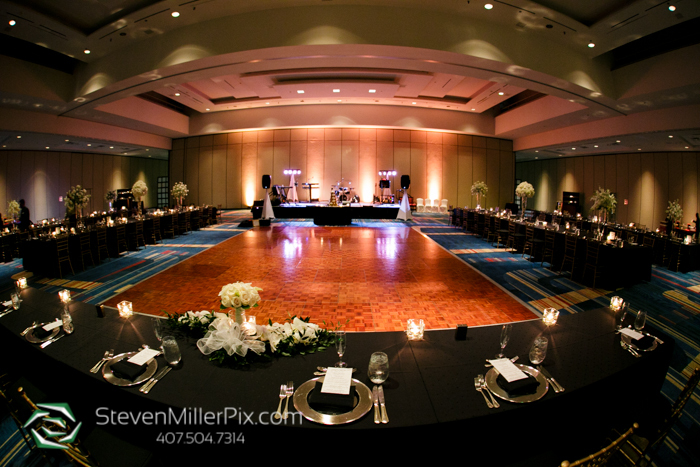 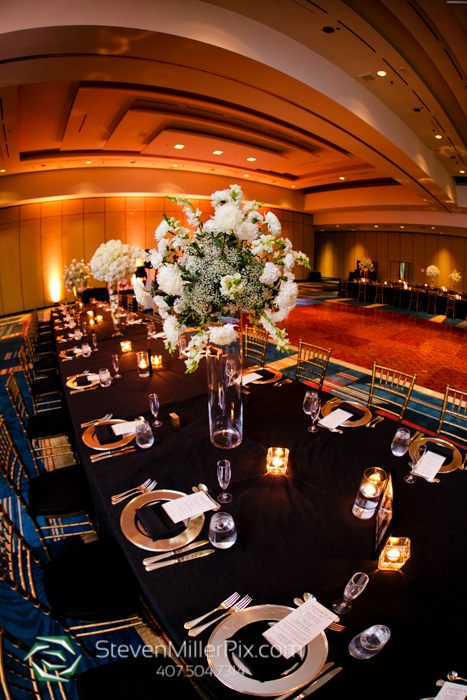 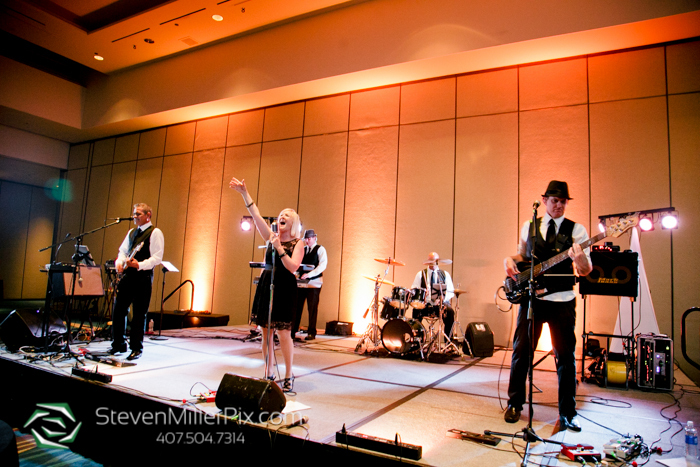 We then proceeded to the Hyatt Regency Grand Cypress for their indoor ballroom reception. 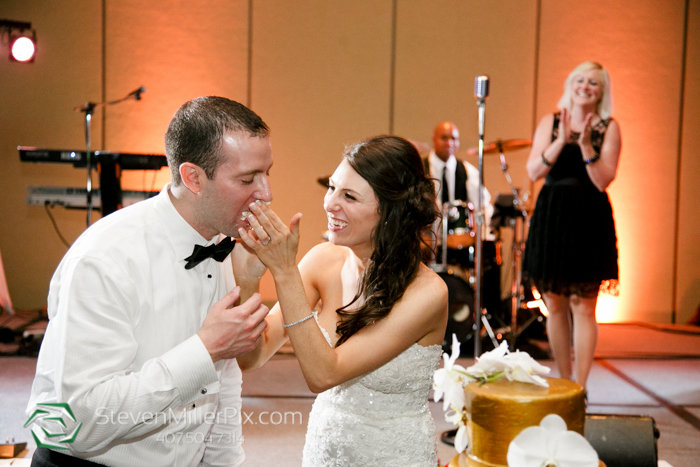 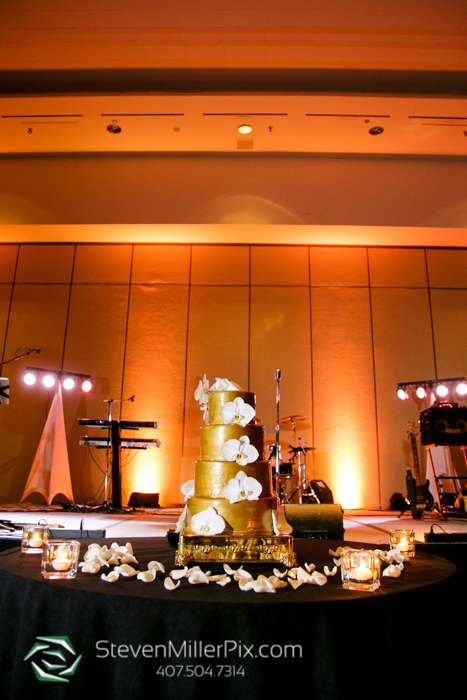 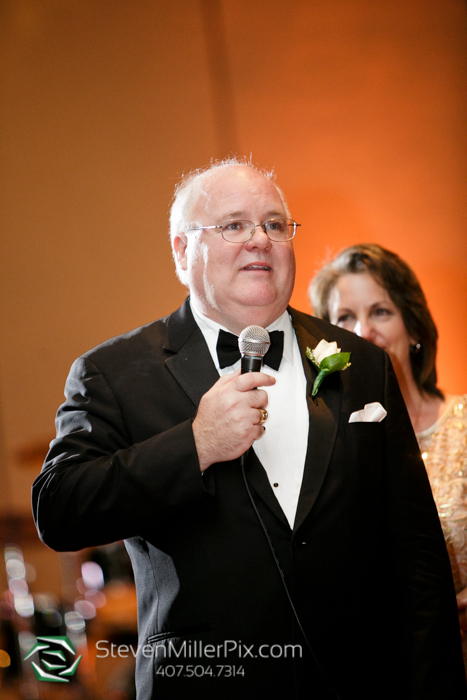 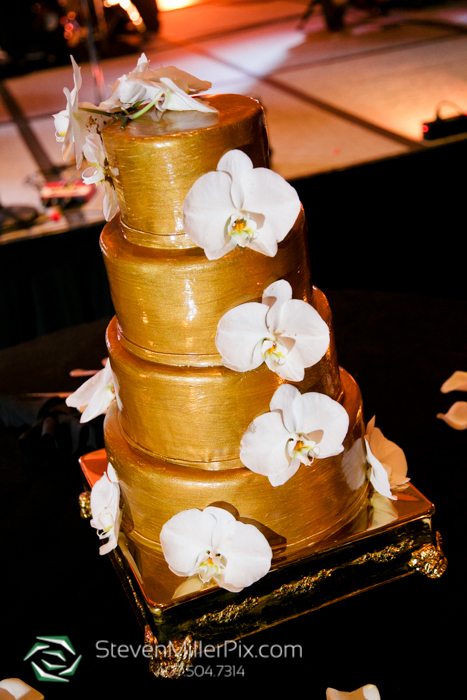 King Jackson Music provided rocking live entertainment throughout the reception, and their wedding cake, as well as uplighting, bar and catering services, was created and provided by the Hyatt Catering Team. 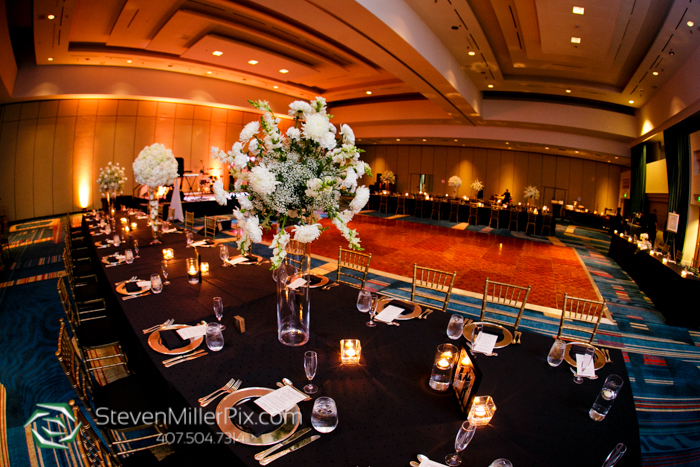 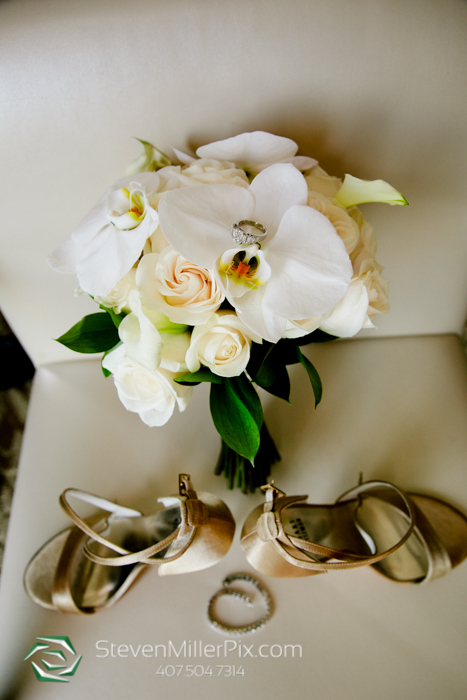 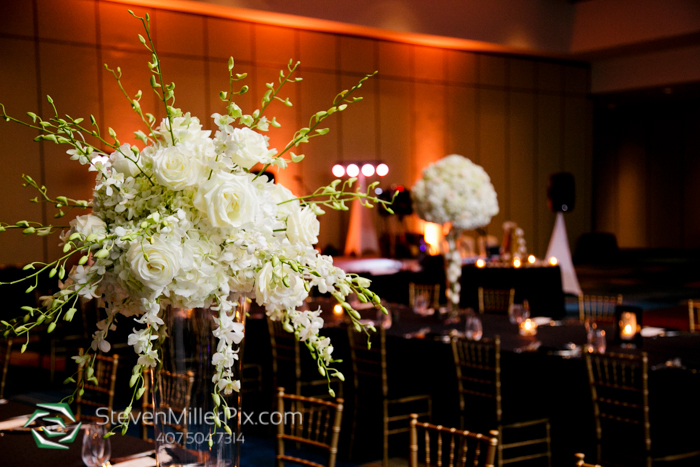 The beautiful floral Arrangements were provided by Floral Designs by Leigh, and Austin Baur Productions provided wedding videography services. 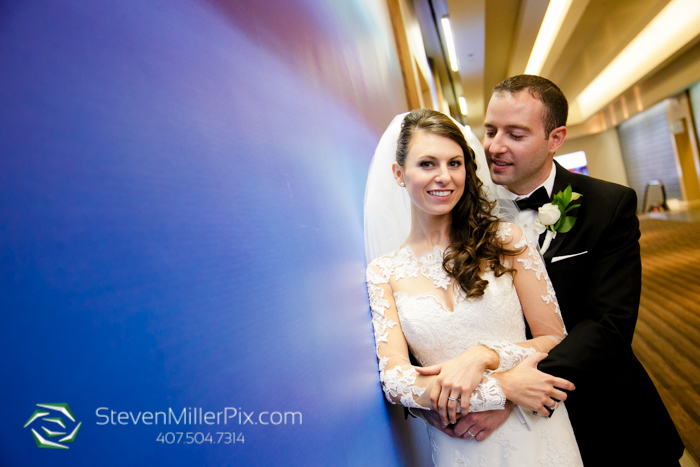 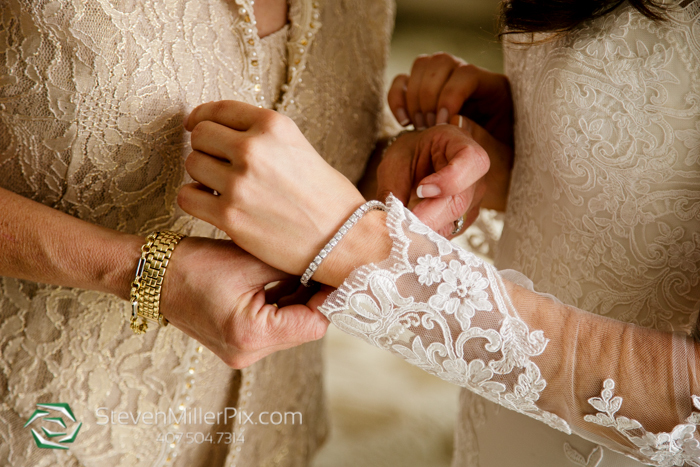 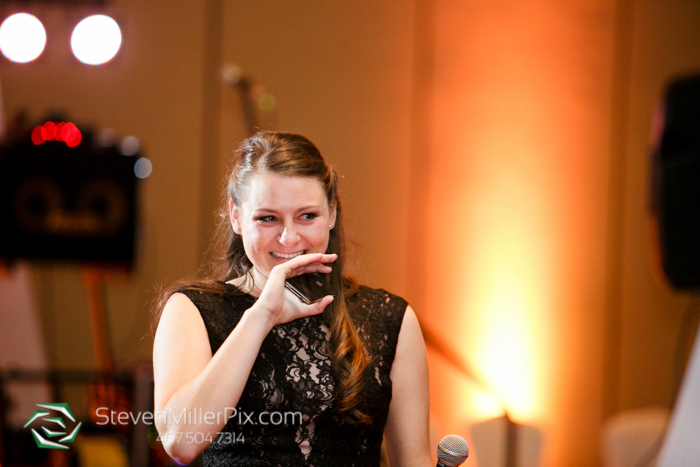 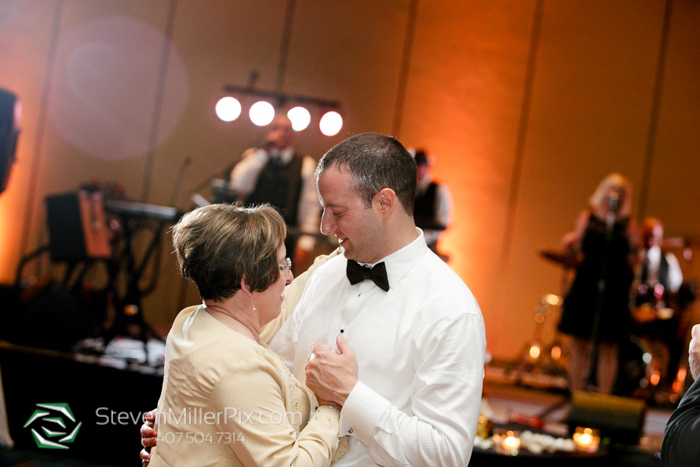 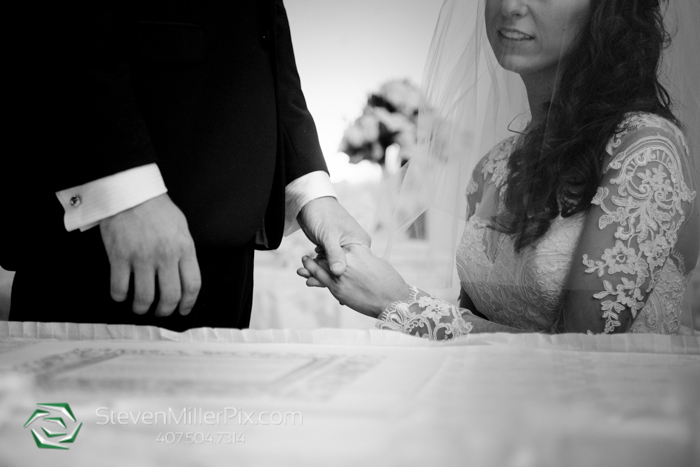 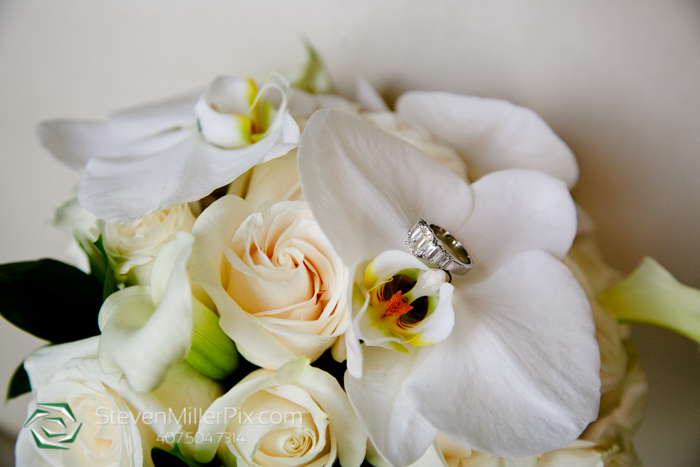 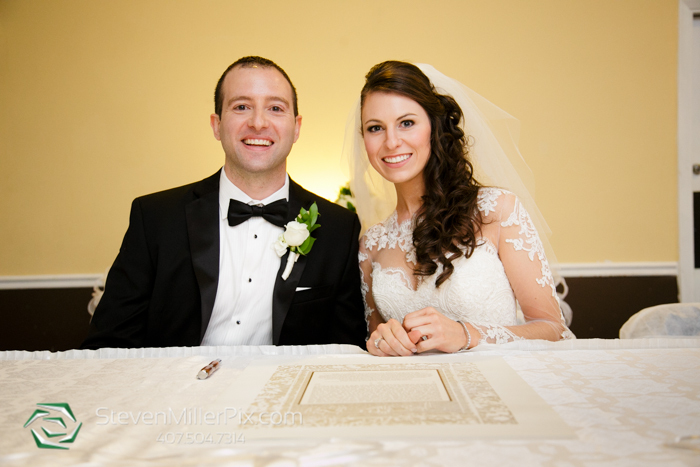 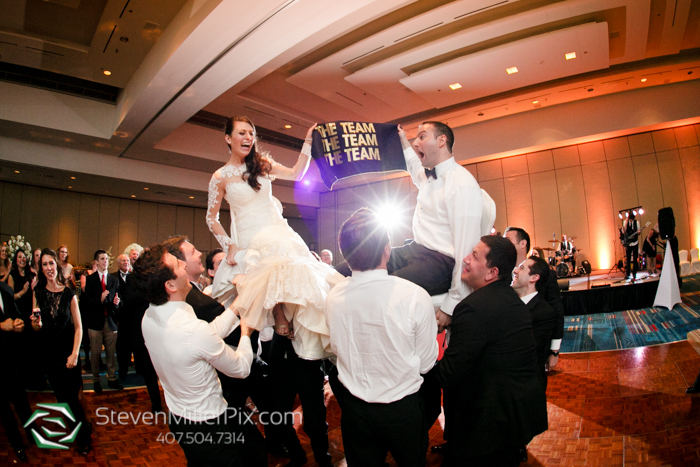 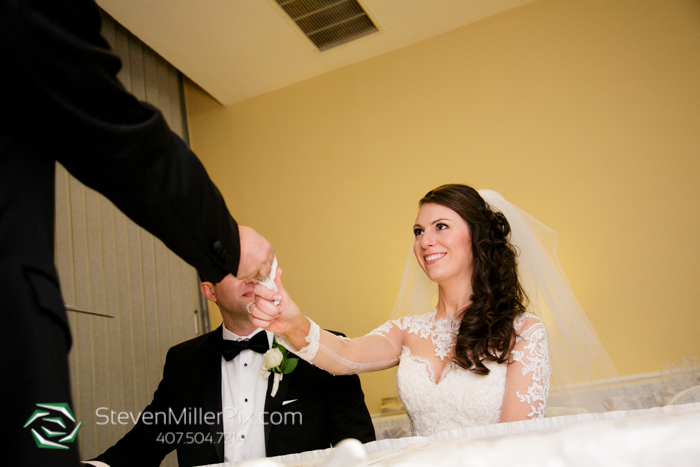 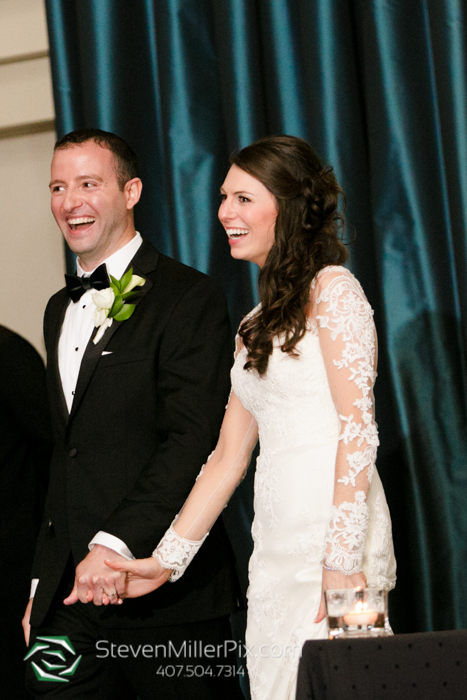 We were so honored to have captured Stephanie and Ari’s special day, and we wish them both the very best!! 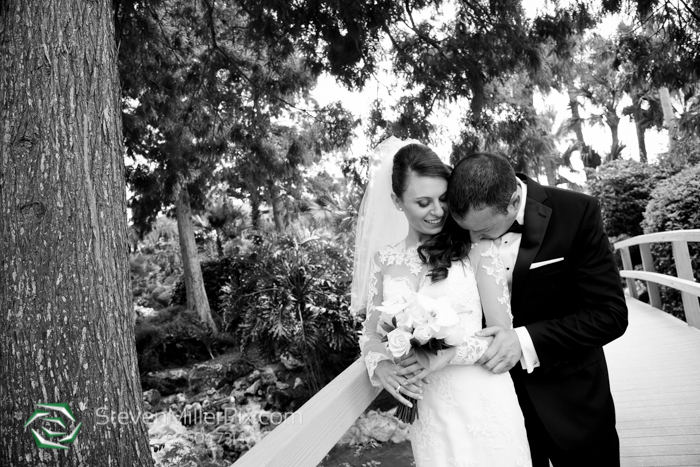 We’ll be welcoming them both to Orlando very soon! 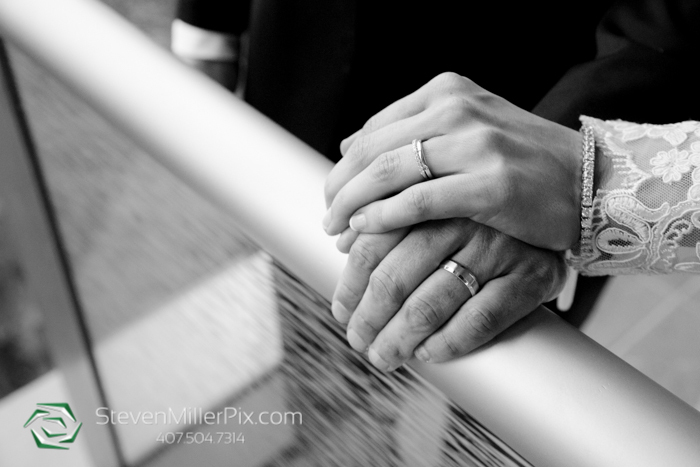 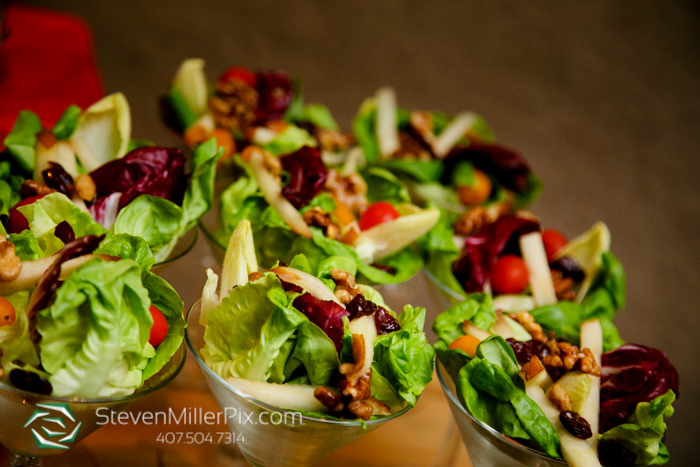 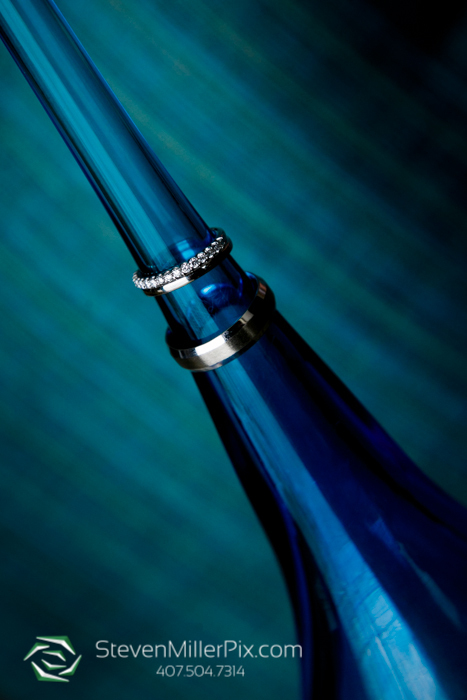 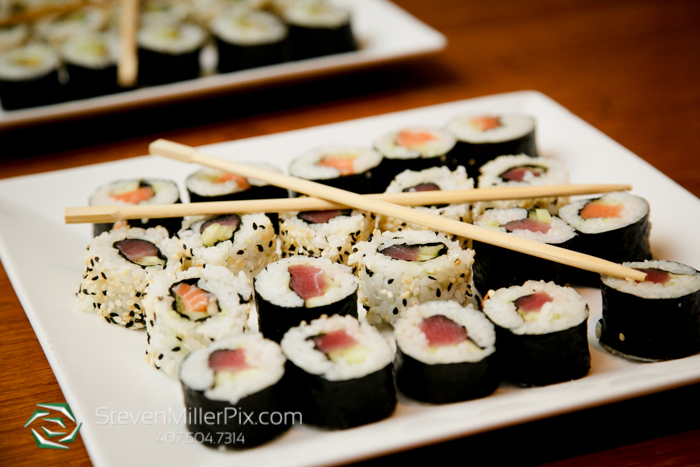 Click here to view Stephanie and Ari’s Engagement Session with us!